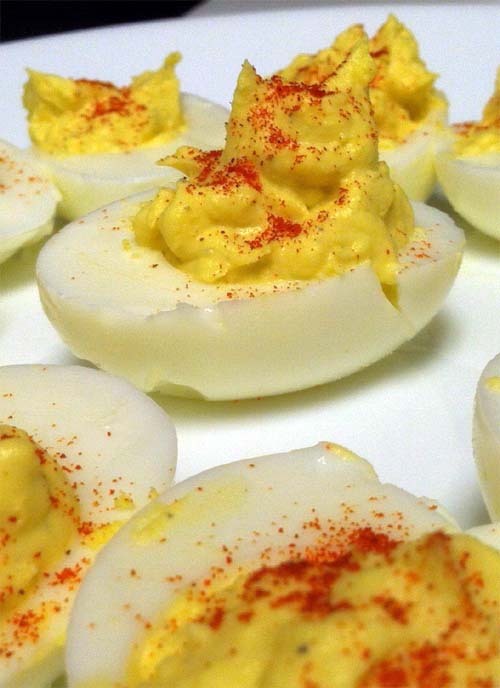 Deviled eggs are always a party favorite. One thing for sure, kids love 'em. And they are not hard to make. There are several variations out there. The one for below is a classic deviled eggs recipe which I'm following from a website appropriately called www.deviledeggs.com. Couple with mini cheesecakes, I think I'll be set for entertaining friends and families in the upcoming holidays.